Bring in your vehicle to your favorite car dealership in Oklahoma City, Bob Moore INFINITI, for any and all of your auto repair service needs. Our trained technicians are here to make sure your INFINITI is cared for as long as you own your vehicle. We can handle all of your auto repair service needs from basic maintenance services including oil change service, tire rotations, alignment, transmission drain and fill, and brake inspections to more complex repair needs including transmission repair and collision repair. We only use INFINITI parts that have been specifically designed for the performance of your vehicle. Our extensively trained technicians are here to make sure you and your vehicle are taken care of. We proudly serve all drivers with all makes and models in Oklahoma City and surrounding areas. We all know your vehicle has a lot of moving parts, so that’s why Bob Moore INFINITI offers genuine parts to our customers whether they are planning on working on their vehicle at home or need auto repair services at our dealership. Let us help you get the parts you need to get back on the road. At Bob Moore INFINITI, we know the importance of keeping a large inventory of factory parts available to make sure we can complete all your vehicles service needs. If we don’t have what you need in stock, let our knowledgeable Parts Department order exactly what you need. We can get everything from oil filters, brake pads, alternators and accessories to make your vehicle more stylish and more. Whatever you need, you can trust our expert technicians to get you the right parts to take care of your vehicle. Been in a fender bender or worse? You can rely on the Bob Moore Auto Group Collision Center to take care of your vehicle. From minor touch-ups and routine auto repairs to major repairs, our certified technicians are trained to handle all of your vehicle repair needs. It doesn’t matter what make and model you have because our technicians are fully trained to do full body restorations, paint-less dent removal, aluminum body repairs and many more services on virtually any car truck or SUV. Our goal is to make servicing or repairing your vehicle as easy and stress-free as possible. We gladly accept most insurance carriers and work with them to provide a temporary rental vehicle and towing services if necessary. 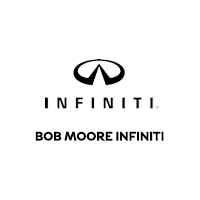 The Bob Moore Collision center is conveniently located just 3 min away from Bob Moore INFINITI. Our factory-trained technicians are ready to work for you and are equipped with all of the latest tools and equipment to handle your vehicle’s service needs. If you’re ready, you can easily schedule your appointment online or by giving us a call at (866) 797-0554. For added convenience, you can register for an online account with our INFINITI auto service and repair department. You can even check out any service offers or promotions we have by visiting our offers tab when you browse our website. Our friendly and courteous staff is here to serve you 6 days a week. Bob Moore INFINITI is proud to serve all drivers in the Oklahoma City area. Visit our auto repair center today.